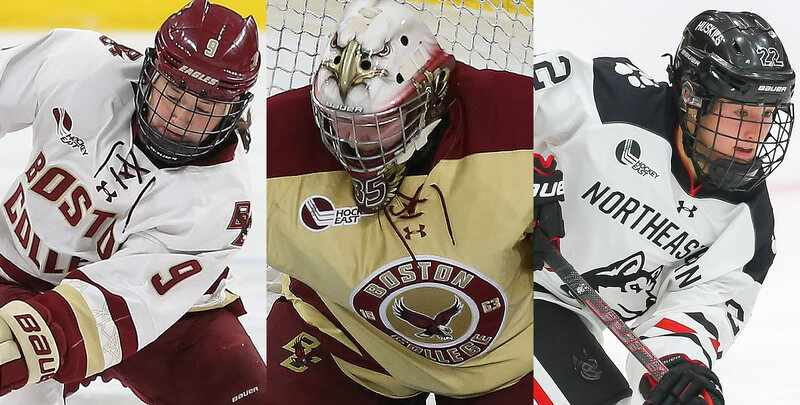 The 2018-19 Women's Hockey East season ended in the National Quarterfinals for the second straight year. 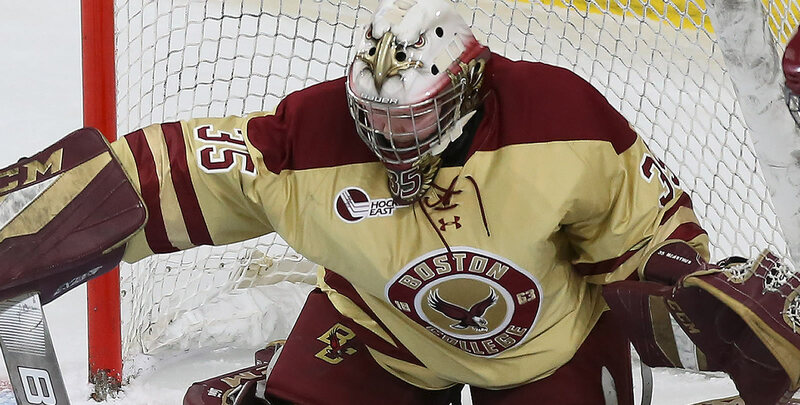 Both Northeastern and Boston College fell in overtime of the National Quarterfinals. No. 3 Northeastern dropped a 3-2 decision to Cornell on Saturday afternoon. After falling in a 2-0 hole, Veronika Pettey (Potomac, Md.) notched her 18th goal of the season at 9:32 of the third period before Skylar Fontaine (East Greenwich, R.I.) scored the game-tying goal late in the to force the extra frame. Boston College was tripped up by No. 4 Clarkson, falling on the road, 2-1 in overtime. Daryl Watts (Toronto, Ont.) scored the Eagles' lone in the National Quarterfinals. She led the league in shots on goal last the weekend with six and finished with a plus-one rating. Rookie goaltender Maddy McArthur (St. Catherines, Ont.) stopped 28 of 30 shots she saw from the Golden Knights. Daryl Watts (Toronto, Ont.) scored Boston College's lone goal in a 2-1 overtime loss at Clarkson in the National Quarterfinals. She led the league in shots on goal last the weekend with six and finished with a plus-one rating. Maddy McArthur (St. Catherines, Ont.) stopped 28 of 30 shots for a .933 save percentage and 1.61 goals against average in Boston College's overtime loss at Clarkson. 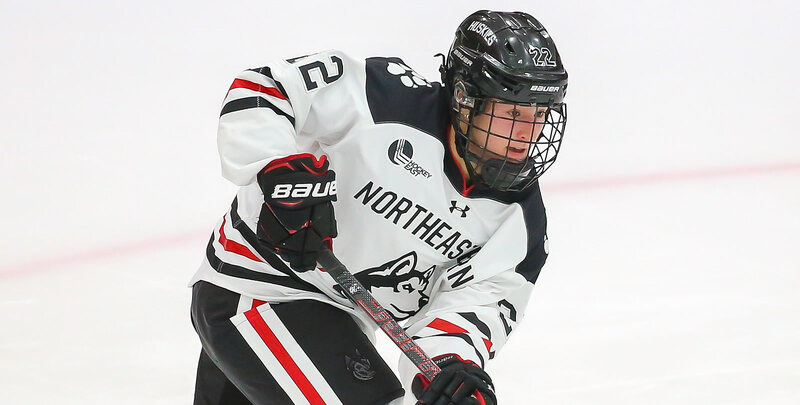 Skylar Fontaine (East Greenwich, R.I.) scored the game-tying goal late in the third period to help Northeastern force OT in its NCAA Quarterfinal game against No. 6 Cornell. The Huskies fell, 3-2 in overtime, to end their season with a 27-6-5 record. 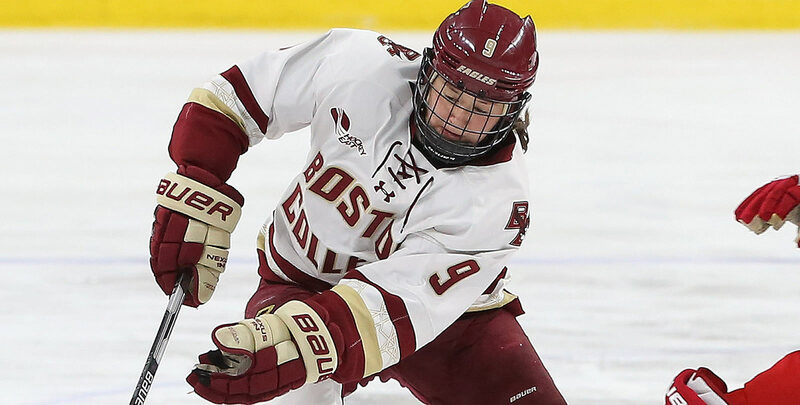 Megan Keller, BC (Sr., D; Farmington Hills, Mich.) The Patty Kazmaier Top 3 Finalist had three shots on goal and three blocks in Boston College's overtime loss to Clarkson. Makenna Newkirk, BC (Sr., F; Scottsdale, Ariz.) Had league highs with 19 face-off wins and seven blocks. She also fired two shots on goal and finished with a plus-one rating.